From the prettiest hairstyle to the most trendy make-up and skincare tips. Look your best with the trendy hairstyles and make-up and look your best. We specialize in all kinds of make-up such as event make-up, photo shoots, and bridal. Book our skilled makeup artists for a professional high definition make up for any event. 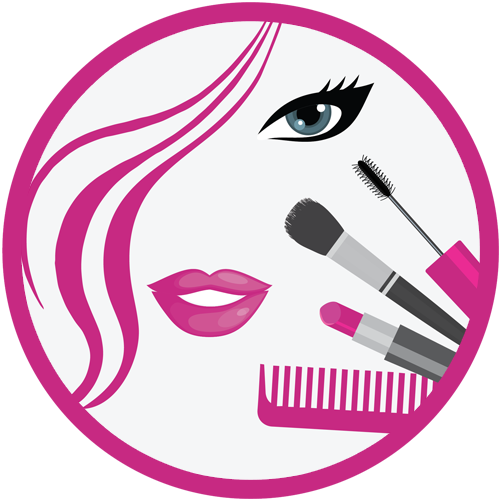 Our makeup artists specialize in all kinds of makeup from natural to heavy leaving you look fabulous. 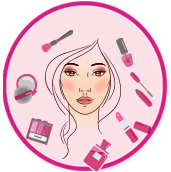 Make-up according to the event based on your skin tone, eye and hair colour & appropriate hairstyle to suit the dress and makeup. The make-up application with artificial lashes to enhance the look. Hairstyle to suit your face shape, dress and make-up. Make-up with artificial lashes to enhance the eyes, and increase your hair length with easy hair extensions of your own. Make-up sprayed onto the face using the latest airbrush technology to get the perfect look for all events ranging from sheer to full coverage. Ideal for photoshoots. Airbrush hairstyle to get stylish voluminous hairstyle. Airbrush technology is used to spray on the perfect make-up and lashes to enhance your looks, along with appropriate hairstyling. The innovative airbrush technology tool to spray on make-up and attach artificial lashes for a pro look, paired with stylish hair-do with client's own hair extensions to give your long hair some volume. Customised make-up for the camera lights and appropriate hairstyle according to the dress and theme of the photoshot. Customised dramatic make-up with extended eyelashes and hairstyle to give great effects in front of the camera lights. Customised dramatic makeup with artificial lashes, for the perfect look on the bouncing lights of the camera paired with customized hairstyle with clients own hair extensions to add volume to your beautiful hair. Special effects for shoot such as bruised, scary look, and appropriate hairstyle according to the character. Special effects for shoot such as bruised, scary look, with extended eyelashes for a bolder look and appropriate hairstyle according to the character. Special effects for shoot such as bruised, scary look, with extended eyelashes for a bolder look and appropriate hairstyle with added volume using the client's own hair extensions. When you want to look your best on camera, it is important to get the makeup right for the photo shoot. You need to exaggerate the makeup on camera to show up on the camera amidst the strong lights. And, that’s what we help you at. Make-up and hairstyle for the executive corporate look for a business-themed photo shoot. Make-up, with extended eyelashes and appropriate hairstyle to give the corporate looks. Make-up with lashes, paired with a suitable hair-do using client's own hair extensions. Editorials make-up and hairstyle to give the illustrative look on the camera. Editorials make-up with extended eyelashes and appropriate hairstyle to give the illustrative look on the camera. Get the perfect illustrative look, with suitable make-up paired with eyelashes and voluminous hairstyle with the extended hair extensions provided by the client. Using the perfect make-up blend with an appropriate hairstyle to get the picture perfect click from the glaring lenses of the camera. Using the perfect make-up blend paired with extended eyelashes with an appropriate hairstyle to capture the perfect click from the glaring lenses of the camera. From the initial make-up to the final touches and touch-ups between the shots. Book the make-up artists for a photo shoot for four hours on sets. From the initial make-up to the final touches and touch-ups between the shots. Book the make -up artists for a photo shoot for a full day that is eight hours on sets. From the initial make-up to the final touches and touch-ups between the shots. Book the make -up artists for a photo shoot for a full day shoot. The make-up artists will accompany you for full 12 hours on sets. Appropriate special effects makeup and hairstyle suiting the theme of your photoshoot. Appropriate special effects makeup, with eyelash extensions and a hairstyle suiting the theme of your photoshoot. We specialize in bringing out the most perfect look while balancing the colour, texture and edginess of the beautiful brides. Complementing every make up with a beautiful and unique hairstyle suitable for the makeup and dressing gown, is what our skilled hairstylists do for you. A makeup trial before your wedding along with matching hairstyle to test the ideal look you wish to get. A makeup trial before your wedding with the application of extended eyelashes along with matching hairstyle to test the ideal look you wish to get. A makeup trial before your wedding along with eyelashes, extended hair extensions provided by the client to test the ideal look you wish to get. A airbrush technology make-up to cover those flaws and get a flawless look, with airbrush technology infused hairstyle. A airbrush technology infused with extended lashes to put on make-up to cover those flaws and get a flawless look, with airbrush technology infused hairstyle. A airbrush technology infused with extended lashes to put on make-up to cover those flaws and get a flawless look, with airbrush technology infused hairstyle and added hair extensions using the bride's hair extensions. Ideal makeup look paired with an appropriate hairstyle to match your wedding theme and wedding dress. Flawless bridal look and hairstyle paired with extended eyelashes to enhance your look. Flawless bridal look and hairstyle paired with extended eyelashes to enhance your look. Add volume to your hair using the hair extensions, provided by the client. Makeup and hair touch–up for the bride to give a look of a diva throughout the day in front of the flashing cameras. Get party ready with the wedding party makeup and complementing hairstyles to dazzle at the party events while giving an appearance like a princess. Special make-up and hairstyle to meet the needs of a bridesmaid. Airbrush style makeup and matching hairstyle for the bridemaid. Airbrush style makeup, with extended eyelashes and matching hairstyle for the bridemaid. Airbrush style makeup, with extended eyelashes and matching hairstyle for the bridemaid using client' own hair extensions. Touch-up for bridemaid makeup and hairstyle to give a consistent look throughout the event. A special illuminating flowery make-up paired with a hairstyle for the flower girl. The junior bridesmaid make-up and hairstyle by expert artists. The junior bridesmaid make-up with extended eyelashes to enhance the eyes and hairstyle by expert artists. The junior bridesmaid make-up with extended eyelashes to enhance the eyes and hairstyle with hair extensions provided by the client. Airbrush technology used to spray on make-up to stay longer and with innovative hairstyles. Airbrush technology used to spray on make-up to stay longer with extended eyelashes and innovative hairstyles. Airbrush technology used to spray on make-up to stay longer with extended eyelashes and innovative hairstyles with the clients own hair extensions to enhance the volume of the hair. A thorough make-up touch up paired with hair touch up for a party look. The perfect look for the mothers on their child's wedding ceremony with expert artists make-up and hairstyle. The professional make-up, extended lashes paired and an appropriate hairstyle for the groom's and bride's mother. Airbrush technology infused make-up and hairstyle for the mothers. Airbrush technology infused make-up and hairstyle for the mothers, along with eyelash extensions. Airbrush technology infused make-up, fake eyelashes and hairstyle with the client's own hair extensions for the mothers. Makeup and hair touchups for the groom's or bride's mother. The perfect look for grandmothers on their grandchild's wedding ceremony with expert artists make-up and hairstyle. The professional makeup with extended lashes paired with an appropriate hairstyle for the groom's and bride's grandmother. Airbrush technology to spray on subtle make-up and suitable hairstyle for the grandmother. Airbrush technology to spray on subtle make-up with extended lashes and suitable hairstyle for the grandmother. Make-up and hair touch up for the grandmother to look great at the auspicious occasion.